A couple of months ago, Tree J Company announced the Jang Keun Suk 2017 GIFT Fan Meeting, scheduled in March for two days each in Osaka and Yokohama. The 2017 GIFT Fan Meetings are the first ones to be held in Japan in two years. However, when the ticket lottery opened the demand for tickets far exceeded the number of available seats. Initially, Tree J decided to add one extra day in Osaka, going from two days to three. However, even that move did not satisfy the demand for tickets. 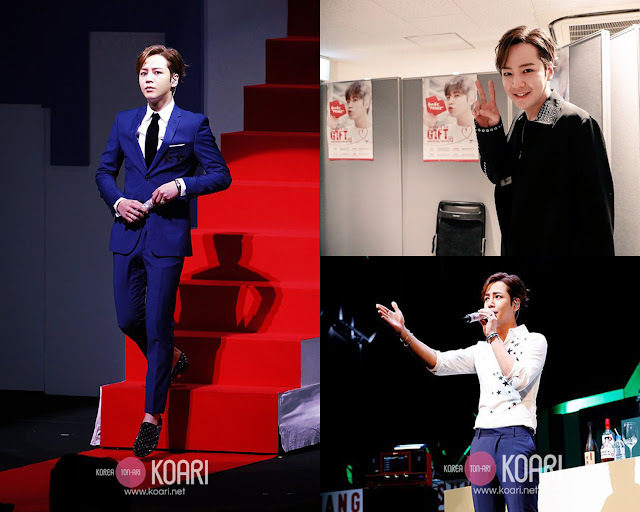 As a result, Tree J added Fukuoka and Nagoya to Jang Keun Suk’s scheduled Fan Meetings. In all, he will participate in nine fan meetings in Japan before the end of April. His reception in Osaka was astounding. Eels raved about each of the three shows for which Jang, himself, lent his production expertise in the planning of each different stage. Each night presented a different show, rather than the same show for all three nights. Thus, eels who attending all three nights saw a different show each night. Prior to the fan meetings, Tree J solicited questions for Jang from eels via the official Japanese Fan Club. The first round of questions resulted in over a hundred pages of questions. Jang Keun Suk, himself, read all 100 pages and reviewed all the questions. Apparently, not satisfied with the variety of questions asked, Tree J again solicited a second round of questions. Again, Jang Keun Suk reviewed and read all the questions. On the first night of the Osaka fan meeting, eels reported that he divided the show into five segments, two of which were a song segment and an interview segment. In another segment, Jang showed part of his short film project (for his PhD) entitled, Nelson Diaries. Last year, he traveled to Nelson, New Zealand, to film where he went to school for nearly a year. He filmed the school, portions of the town, the home in which he lived with his mother, and interviewed some of the people - including his school principle - for the film. Portions of the resulting film, which Jang wrote, directed, edited and produced, were shown during the fan meeting. He told the audience that he planned to release the film on or about his birthday in August of 2017. He made of point of saying the release would coincide with his (non-Korean) 30th birthday. During the song segment of all three shows, he sang three Japanese songs, none of which were his, and two of his own. He told the audience that he often goes to a Karaoke to sing and listen to music. But what brought the house down was his nearly perfect imitation of a couple of very popular Japanese singers when he sang their songs. Jang is well known for having the ability to imitate other actors and singers. He often elicits gales of laughter with his nearly perfect imitations. And he did this time too…as well as considerable praise. Nevertheless, the most complete account comes from the second night’s stage. In Jang’s own words, he wanted to show his eels what his home life is like. Consequently, he set up the stage to look like his living room. He explained that he often sleeps on his sofa because it’s larger and more comfortable than his bed. And like many of us, he falls asleep watching TV. But before he explained about his life at home, he revealed that he’s become passionate about playing golf and practices daily. He brought out his clubs and golf bag, complete with a large “Jang Keun Suk” label, and proceeded to show his golf swing. He said he’s practicing hard to bring down his golf score from over 100 to the 90s or 80s. In golf, the lowest score (or the lowest number of hits before the ball enters the cup) wins. The audience was highly amused by his determination as well as his explanation of his new fascination with golf. The interview segment of the show focused on how he lives and his life at home as well as a few questions about his acting and singing career. But his “Korean Language” segment” created an interaction between Jang and the audience that eels found both delightfully amusing, especially when he taught them phrases he uses when pursuing a girl or a woman wants to…uh…pursue a man. As eels left the show on the third night, the general consensus was the shows were a great hit, with each show ending in gales of laughter. The Eels Family (TEF) will post a more complete account of the fan meeting’s second night in Osaka on their Facebook page. If you’re a member of TEF, you will be able to read it there. If you’re not a TEF member, you can request membership by clicking on the “Join The Eels Family” tab and filling out requested information. 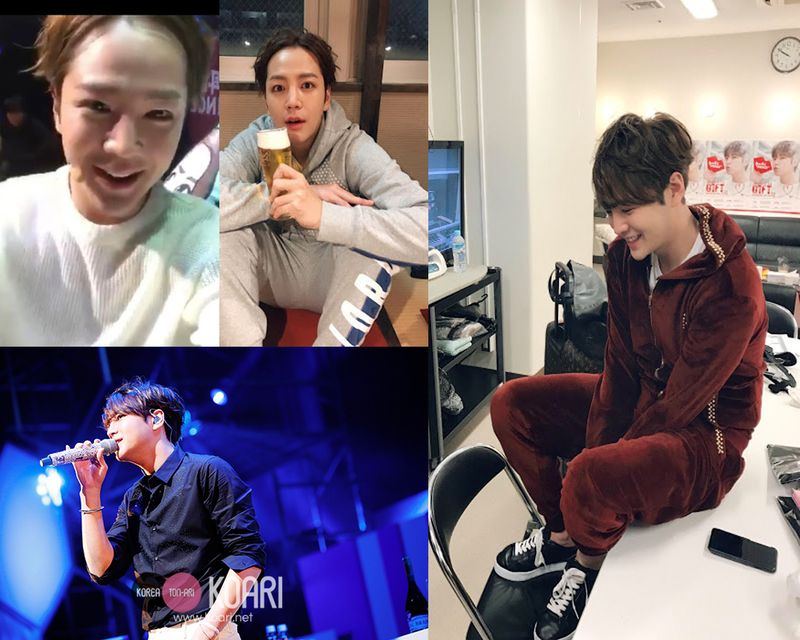 TEF provides complete and up-to-date information on everything about Jang Keun Suk and his activities, including recaps of each episode of his dramas. Thank you for sharing! As usual, a master at work! 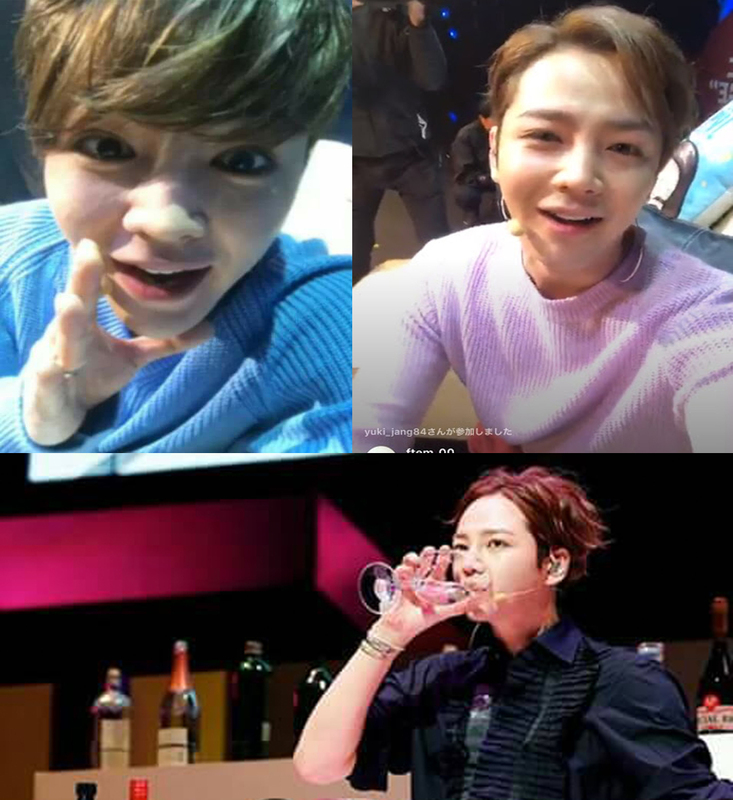 JKS is such a multi-talented artist. Being an Eel is an absolute delight!